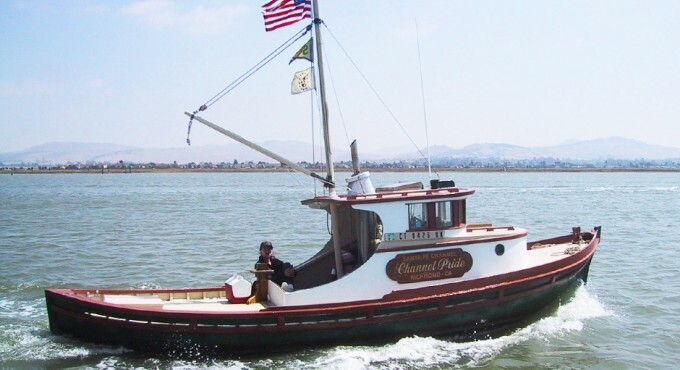 Channel Pride is our 1943 Monterey fishing boat with traditional cedar on oak that was converted into a boutique harbor tug 20 years ago. Originally built in Collinsville, it was purchased from a boat builder who had restored it. Over the years, it’s received a new deck, new frames and an upgraded engine to modern systems; the cosmetic work is never-ending. It’s our little getaway on the water – and our test platform. All our repair techniques for wooden boats we experiment first on Channel Pride.